Crawley Cleaners provide the best Tenancy Clean experience for your property, either start or end of Tenancy Clean. We love cleaning and are 100% confident and committed to what we do. Let Crawley Cleaners clean up and service all your tenancy cleaning needs. At Crawley Cleaners we have a saying, “no cleaning job is too big or too small”. You can be assured of the best results for your tenancy clean. Kitchen cabinets cleaning internal / external. Fridge clean internal / external. Dust and polish furniture, clean inside wardrobes and drawers, behind and under furniture. Clean mirrors, internal window cleaning. Radiators clean front and bottom. Vacuum carpet and non-carpeted areas,wash floors. At Crawley Cleaners we provide the tenancy clean that best suits you. We understand that moving into a new property or leaving a property is an extremely stressful experience. Our Tenancy Cleans are here to take that one stress away, meaning one less job for you to worry about. 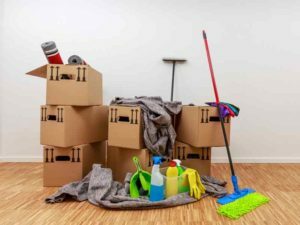 If you require an End of Tenancy Clean from Crawley Cleaners, as a Landlord or the Tennant of a property, we will take care of that final clean. You will hand your keys back with peace of mind that the property is cleaned to the highest of standards. Crawley Cleaners know that as a landlord or as a new tenant you may require our services at Crawley Cleaners for a Start of Tenancy Clean. We understand that the start of a new tenancy is an important time for both the landlord and the new tenant. Our Crawley Cleaners Start of Tenancy Clean will ensure that both parties are highly satisfied with the cleanliness of the property. We can highlight any issues as part of the clean for inventory purposes. Let us at Crawley Cleaners do the hard work, so you don’t have to. Crawley Cleaners provide a helping hand with getting a property clean and ready to be moved into. This could be a buider clean, after having had builders in, Crawley Cleaners will clean away all the dust after the builders have left. It could be cleaning after a property has been left unused for some time and needs freshenng up. As a new tenant you may like to move in knowing that the property is clean and fresh just for you. Whatever your needs for a Tenancy Clean we will help you out., all you need to do is make one phone call and we will do the rest. You can rely on Crawley Cleaners to finish off those final touches making sure everyone is happy. For more information on a Tenancy Clean call us at Crawley Cleaners on Landline : 01293 279599 or Mobile : 07846 646725 or use our contact form. Copyright © 2017. Powered by WSI4DigitalMarketing. Designed by myThem.es.